We who believe in a loving God and the gift of everlasting life, rejoice in death. In our hearts, we know our loved one is at peace in the midst of the Light. We mourn the passing of one we’d prefer with us in this world but this belief does bring comfort in our loss. My husband, Marshall Brodien (84) of Geneva, passed away peacefully early morning on March 8, 2019. He was surrounded by family in his last days, and I only left his side to shower (which the rest of the family appreciated.) Most of the week, I held his hand. In his last hours I sat beside him with my head on his pillow, holding both of his hands, and listening to his last breaths. Hospice educated me on the signs of passing which became increasingly more evident with every minute. As his hands grew colder, I prayed the rosary and spoke to God and to Marshall. His breaths gently faded, he squeezed my hands, and I felt his spirit leave the body. Twenty five years ago when I first told my mother about Marshall she was concerned about the 20 years age difference between us. I assured my mom that Marshall was a gentleman, and she soon realized his kindness for herself. Marshall’s public persona meant that he belonged to the public. Loved ones had to share him with fans everywhere we went. His attention often was elsewhere. However, Marshall made me feel loved every day of our marriage. He called me “My Mary” and “The love of his life.” He didn’t hesitate to publicly say, “I love that girl.” I never doubted I was in his heart and greatly appreciated the joy he brought to me and my children. Marshall’s rich life began in Chicago with his loving mother, Mildred, Father Arthur, and brother, Charles. At the age of eight, a female magician entertained at his school. He soon became hooked and put on his own shows for family and friends. He later became a side-show barker at Riverview Park. He was drafted into the army in 1957 and commissioned to the Special Services Entertainment Division at Fort Carson, Colorado. He performed more than 700 shows at hospitals, officer clubs, and private parties over his two years in the military. Marshall continued entertaining by performing magic and stage hypnosis at lounges, clubs, and county fairs as well working as a trade show spokesperson for corporations such as Owens-Corning Fiberglass, Bethlehem Steel, Reynolds Aluminum, and the American Gas Association. Marshall showed symptoms of Alzheimer’s disease disruptive to daily life since 2004. I cared for him at home for ten years and he lived in managed care for almost another five. In addition to me, Marshall is survived by his three children, three step-children, nine grandchildren, four step-grandchildren, and one great-grandchild. There also is one more on the way. He was preceded in death by his daughter, Christine, who passed away in 2016, and his brother, Charles. Donations can be made in his name to Arden Courts of Geneva (2388 Bricher Road, Geneva, IL 60134), Heartland Hospice (1010 Executive Drive, Suite 200, Westmont, IL 60559), or the Alzheimer’s Association (225 Michigan Ave, Fl 17, Chicago, IL 60601). Sleep well. That’s something I often say to my children and grandchildren when speaking with them in the evening. Studies show how important sleep is for us in so many ways. Now new studies are linking the need for sleep and the reduction of Alzheimer’s disease. Scientists have documented numerous connections between sleep loss and memory loss. Chronic sleep deprivation causes injury to parts of the brain that are essential in maintaining attention and forming and storing memories. Currently, there is an interest in how this relates to Alzheimer’s disease. People with Alzheimer’s tend to waken often through the night. At this point it is uncertain whether the poor sleep contributes toward a cause of the disease or is only a symptom. Dr Erik Musiek, assistant professor of neurology at Washington University in St. Louis says that new research suggests that sleep and circadian rhythm problems early in life may contribute to the risk of Alzheimer’s and accelerate the disease. Studies show sleep-deprived mice accumulate greater amounts of beta-amyloid plaque, a substance believed to damage and destroy brain cells in those with Alzheimer’s. And one finding showed the spinal fluid of mice swirled around the brains while sleeping, cleaning out the protein substance. If this is true for humans, it would greatly reinforce the need for sleep. It would offer a solution in the reduction of the disease. Food is nature’s medicine. Well, at least before we add all the butter and sugar. A recent study published in the journal, Alzheimer’s & Dementia: the Journal of the Alzheimer’s Association, showed a particular diet, known as the MIND diet, lowers the risk of Alzheimer’s disease by as much as 53% in participants who faithfully adhered to it. MIND stands for Mediterranean-DASH Intervention for Neurodegenerative Delay. The acronym comes from the fact that the MIND diet is a combination of the Mediterranean and DASH diets. This diet is predominately based on whole, natural foods but one that is easier to follow than the other two. The MIND diet consists of vegetables—especially a generous amount of green leafy ones, nuts, berries—especially blueberries, beans, whole grains, fish, poultry, olive oil, and wine. Foods to avoid include red meat, butter and margarine, cheese, pastries and sweets, and all fried and fast food. The study also showed that the longer we’re on the diet, the better. But even those who only adhered to it moderately saw a 35% lower risk. The study, which began in 1997, was funded by the National Institute on Aging. One researcher was from Harvard School of Public Health. The others were all from Rush University Medical Center in Chicago. Participants consisted of more than 900 people between the ages of 58 and 98. Are you a family caregiver, especially for someone with Alzheimer’s disease, or know a friend who is? If so, you may want to check out my latest interview. The interview also features my newest book, Navigating Alzheimer’s. To do so, click Meet the Author on RadioMaria. There are two book interviews here. Mine begins at about 28.20 minutes. The journey we take when we partner with a loved one with Alzheimer’s disease is turbulent to say the least. Our husband, sister, or mother needs everything we can possibly give them. They don’t realize it, and may resent or shun our help, but they can do little without assistance. The statistics aren’t pretty. More than 30% of the primary family caregivers of people with Alzheimer’s die before the loved one they care for. In this position we are taxed at an extraordinary level. The disease zaps us emotionally, physically, and financially because of the 24/7, day-after-day, often for decades, all-consuming demands and the sheer agony of watching our relationship fade away. I know this path well. 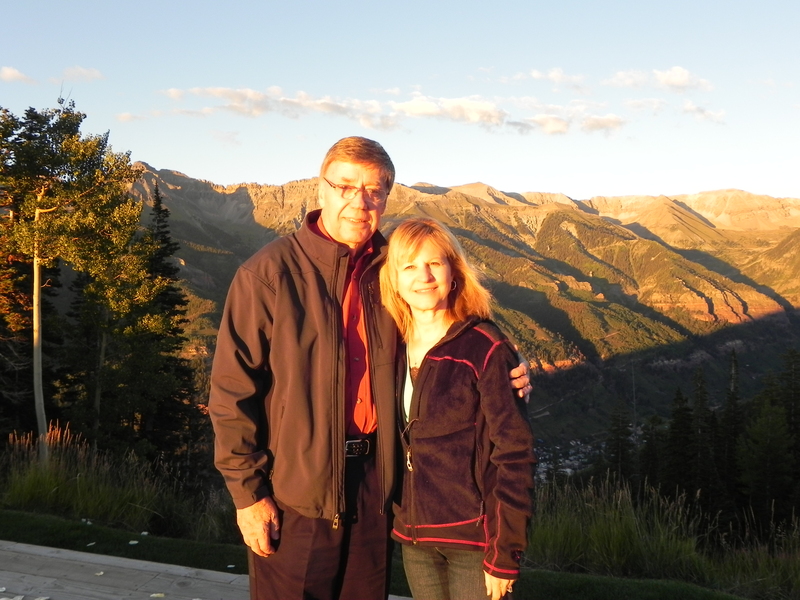 My husband Marshall has had Alzheimer’s disease at least eleven years. He now resides in an assisted living home specializing in memory care, and although I no longer have the full-time responsibility of his every need, there continues to be much I must do for him. At this point, I feel blessed that our love for each other remains strong, but I know full-well that soon can be taken away from me too. 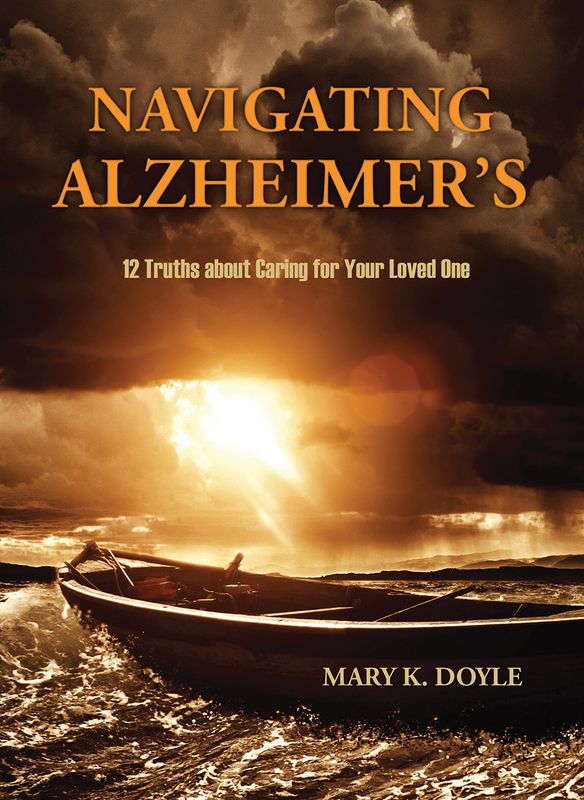 My latest book, Navigating Alzheimer’s. 12 Truths about Caring for Your Loved One, is jam-packed with solid information and observations I learned along the way. It covers issues raised by many people who have approached me seeking answers for their own caregiving needs. Topics include the early signs of Alzheimer’s; important behavior for caregivers; the perpetual mourning we experience; expected costs of caregiving; dealing with insensitive remarks from outsiders; guidelines for selecting appropriate caregivers and assisted living homes; and the importance of appreciating the gifts we do have. The book is available at ACTA Publications, 800-397-2282 and Amazon. Navigating Alzheimer’s certainly isn’t a fun read but offers an important resource and compassionate camaraderie for families dealing with loved ones with Alzheimer’s. Click here to listen to an interview about this book with Dean Richards on WGN Radio. My husband and I are celebrating our 18th wedding anniversary. At least half of our years together have included Alzheimer’s disease. In spite of the illness, it’s been a good marriage. Marshall encouraged me to come out of my shell, and I’ve encouraged him to come home. Our dance has been gentle, creative, loving, and supportive. It is rich in fun, family, and friends. The two things that attracted me to Marshall was his kindness towards my children and his sense of humor. Those characteristics have continued and have carried us through some of the tougher times that naturally occur in life. When Marshall was diagnosed with Alzheimer’s, my heart sank. I knew the road ahead would be challenging. But surprisingly, in many ways our marriage is better because of it. Although Marshall knows he has the disease, he is unaware of the extent of his disability. I however, fully appreciate every moment together. Alzheimer’s has been a ticket to a free ride for him. 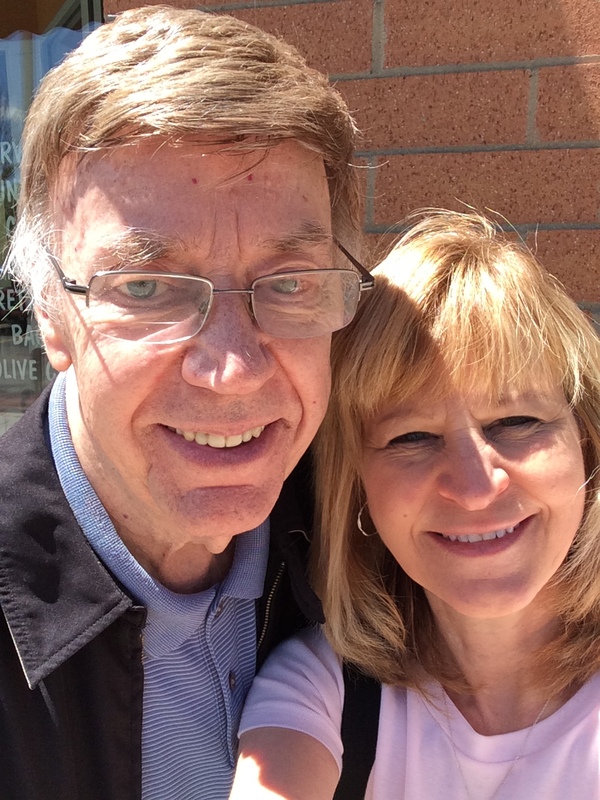 During the limbo years prior to a diagnosis but when Alzheimer’s was popping up as the first signs of forgetfulness, confusion, repetition, and odd, unusual, and sometimes dangerous behavior, he appeared as uncaring and uninterested in me. Once I learned that he wasn’t deliberately treating me insensitively, I began to let all of that go. I quickly forgive and forget. I also appreciate every little hug, smile, and “I love you” so much more. I’m acutely aware that there will be a point when those gifts will cease and he will not know who I am. It’s difficult for anyone not with Marshall on a daily basis to understand how he is really doing. The disease’s progression has been exceptionally slow considering how long he has had it. This is due to good medicine, good doctors, and good home care. I’ve made a conscious effort to keep him engaged and living with a purpose, get him up and out every day, and remind him how important he is to me. Marshall looks strong and healthy and still dazzles anyone he encounters with a little story about “the good old days” or a bit of magic. His charm and charisma overshadows the fact that he cannot follow a conversation and understands little about basic daily activities. People often remark that they are surprised when Marshall does remembers something, as if once diagnosed a switch completely turned off his brain. Rather, Alzheimer’s is more like a light fixture with frayed wiring. Sometimes the lights are on. Sometimes they flicker. Periodically bulbs burn out and cannot be replaced. I’m fine most of the time, until I stop and think about what is happening. As the lights continue to dim, they perpetuate a state of mourning in me. I’m deeply saddened as little by little I say good-bye to another part of our marriage. It’s painful to reflect and remember when, or worse, to project and fear what is to come. So instead, I just keep going, just keep doing the next right thing as my brother John reminds me to do. I’m enjoying the moment. And this moment is a celebration of the blessing of our eighteen loving years together.